Influencer marketing can offer an exceptional return on investment and here at Global Grasshopper we always strive to create and produce the highest quality and most sharable content possible. We have an excellent track record in working on very successful campaigns with clients ranging from smaller independent companies to prestigious household name brands, including a campaign which won a Travel Media Award. We have also many repeat clients (of all sizes) proving that we can offer an excellent ROI. Bloggers have an increasing and proved highly valuable influence – 33% of younger people now rely mostly on blogs before they make a purchase, compared to only 3% who look to TV, magazines and books. Also, more than one-third of travellers have changed their plans in general after seeing a social media post, and more than half have changed hotel plans (Forbes). A very recent study by TapInfluence showed Influencer Marketing to offer a huge 11 times ROI over all other forms of Digital Media. Many of our posts also go viral attracting good quality links, high engagement and gaining high rankings in Google for continuous traffic, leads and visibility. We also specialise in going above and beyond the average influencer marketing experience in our larger campaigns offering lead magnets, split tested social media adverts and engaging multiple stage sale funnels to ensure the maximum ROI is offered. Contact Becky for quotes and more detailed information. 10 of the most beautiful places to visit in Myanmar – received over 23,000 views, 17,000 social media shares, 31 comments and now ranks at the top of Google for keywords “beautiful places Burma”, “beautiful places to visit Burma” and “beautiful Burma” among many others (client: Luminous Journeys). 12 of the most beautiful sailing destinations in Europe – over 14,000 views, 6,200 social media shares, 21 comments and now ranks at the top of Google for “beautiful sailing locations”, “beautiful places to sail” and “beautiful sailing destinations” among many others (client: Incrediblue). 8 unique things to do in Thailand– over 13,000 views, 331 social media shares, 19 comments and now ranks highly in Google for “unique things to do in Thailand” (client: AIS Traveller SIM). 10 of the most beautiful National Parks in North America – over 6,000 views, 320 social media shares, 20 comments and now ranks highly in Google images for related keywords (client: Insight Holidays). A road trip adventure in Newquay with a MokkaX – this was one of two posts produced for the Vauxhall #MokkaX campaign. It received over 5,000 views 125 social media shares and 22 engagements and the video produced for the campaign by our team videographer received over 51,000 and counting across our social media channels. The video was also used by Kaper PR to present to new clients. 10 reasons why Sabah is the ultimate honeymoon destination – this was part of a series of five posts produced by us for Royal Brunei and Sabah Tourist Board for the very successful iAmbassador #LoveSabah campaign. This post received over 6,000 views, 480 social media shares and 30 comments. It was also republished in the Epoch Times and was part of the campaign which won a Travel Media Award for content, was nominated for Travel Marketing News 2016 and the Shorty Media Awards 2016. The campaign as a whole (which included a small group of five top influencers, including us) was proven to increase Royal Brunei’s profits and also increase honeymoon package sales in Sabah, Borneo. Exploring Fraser Island: Australia’s most unique beauty spot – this was one of a series of four posts produced by us for the Queensland Tourist Board as part of their ‪#‎ThisisQueensland‬ campaign. This post received over 6,000 views, 2,000 social media shares and 34 comments and the photos were used as promotional material by the Queensland Tourist Board. A weekend in Dublin – without luggage! – this was a post produced for the high profile Moneysupermarket #MSMLostLuggage challenge campaign. It received over 4,000 views, 150 social media shares and 21 comments. Exploring Austria – culture and nature in affluent Vorarlberg – this was one of two posts produced for the Austrian Tourist Board as part of the #roundtripAustria Captivate campaign. It received over 4,500 views, 225 social media shares and the photography was used as promotional material by Visit Austria. The set of these images used by Visit Austria on their Facebook page received 4,200 likes, 260 shares and 81 comments. Exploring Utrecht, Holland – more than just a mini Amsterdam? – this one of two posts produced for Stayokay Utrecht for their #Stayokaysleepover campaign it received more than 7,000 views, 911 social media shares and 29 comments. The majority of our traffic comes from the UK, then the USA, Canada, Australia, Europe and Asia. Mainly independent travellers and ‘thinking’ holidaymakers looking to spend a wide variety of budgets when they travel. Native style SEO targeted advertorials created for maximum shareability and high rankings in Google. These are also shared through our social media channels and further boosted by a small group of top influencers. Sponsored reviews, giveaways and competitions designed to be highly engaging with the aim of offering your brand excellent ROI. Brand ambassadorship – we can help to reach out to your target audience by putting a face to your brand. Banners, videos and widgets placed either in our high traffic posts or on our sidebar. Beautifully produced videos – we have a very talented professional videographer on our team who has worked with the BBC, Sky and London Fashion Week who works with us to produce excellent video content. His first video for one of our campaigns went viral receiving over 50,000 views in a just a few days. Our very popular brand campaign/sponsored press trips consisting of engaging real-time social media, highly sharable blog posts with high-quality aspirational photography, video footage and social media amplification. Tactical larger campaigns – we can also design and implement creative campaigns which aim to provide the gold standard in influencer marketing. They involve bespoke split-tested social media adverts, viral videos, lead magnets and multiple-stage sales funnels. Contact Becky for quotes and more detailed information. This video was produced for a campaign for Eviivo, with our promotion it went viral and has received over 50,000 views on Facebook (with only £20 worth of boosting), YouTube and Instagram. This video was produced for the Vauxhall #MokkaX campaign, with our promotion it went viral and received over 20,000 on Facebook (with only £20 worth of boosting) and Instagram within one day. It now has received over 51,000 across all our channels. This video produced for the #PlanetChernobyl campaign, with our promotion it went viral receiving over 15,000 views on YouTube in just a few days. We are also open to collaboration ideas, contact Becky to discuss further. Ranked as No.3 UK Travel Blog on the industry respected Vuelio list. 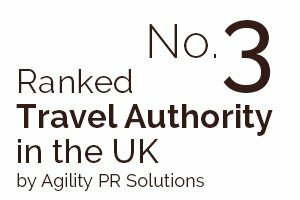 Ranked No.3 Travel Authority in the UK by Agility PR solutions. 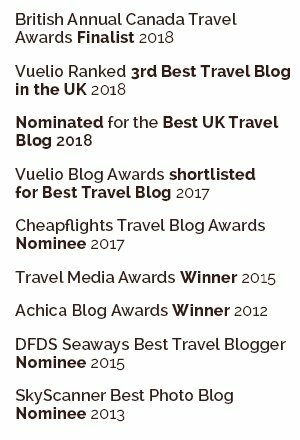 Nominated for best UK Travel Blog 2018 at the respected Vuelio Awards. Over 2,000 Google Plus circles. Over 3,500 regular readers through our RSS feed. Nearly 100,000 collective views on our YouTube Channel. Our domain is over nine years old, older domains carry a much higher weight in Google rankings. We have global traffic mainly from the UK, Europe, USA, Canada, Australia and Asia. We rank at the top of Google for hundreds of important travel-related keywords. We gained huge amounts of traffic through social media and several of our posts have been viewed over a million times. We were part of a small team of influential travel bloggers who worked with both Sabah Tourist Board and Royal Brunei Airlines on a campaign which achieved a very impressive return on investment. As a direct result of the campaign, we collectively increased Royal Brunei’s profits and dramatically increased (compared to the year before) honeymoon package sales in Sabah, Borneo. We have continuous and impressive above-average sales conversions on our site for our affiliate partners and send many thousands of pounds worth of bookings to our hotel partners every month. Ranked as No.3 UK Travel Blog 2018 on the industry respected Vuelio list. Nominated for the Best Travel Blog in the respected Vuelio Awards 2018. Shortlisted for the Best Travel Blog in the respected Vuelio Awards 2017. Won the runner-up position in 2017 Best UK Travel Blog for the Cheapflights Awards 2017 where over 60,000 people voted. We were part of the team who produced the Love Sabah campaign which won the award for the “Travel Media Innovative Campaign and Content of the Year” at the prestigious Travel Media Awards 2015. Mentioned as one of the best lifestyle blogs to follow in 2017 by CodeCondo. Asked to take over the Instagram Account of Germany Tourist Board. 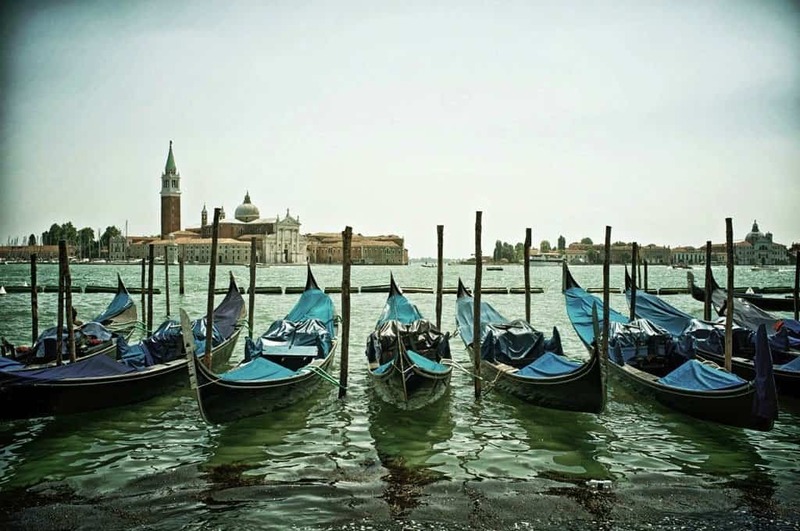 Nominated for best photo blog in SkyScanner’s travel blogscars 2013. One of Trip Advisor’s featured blogger in their travel must have article. 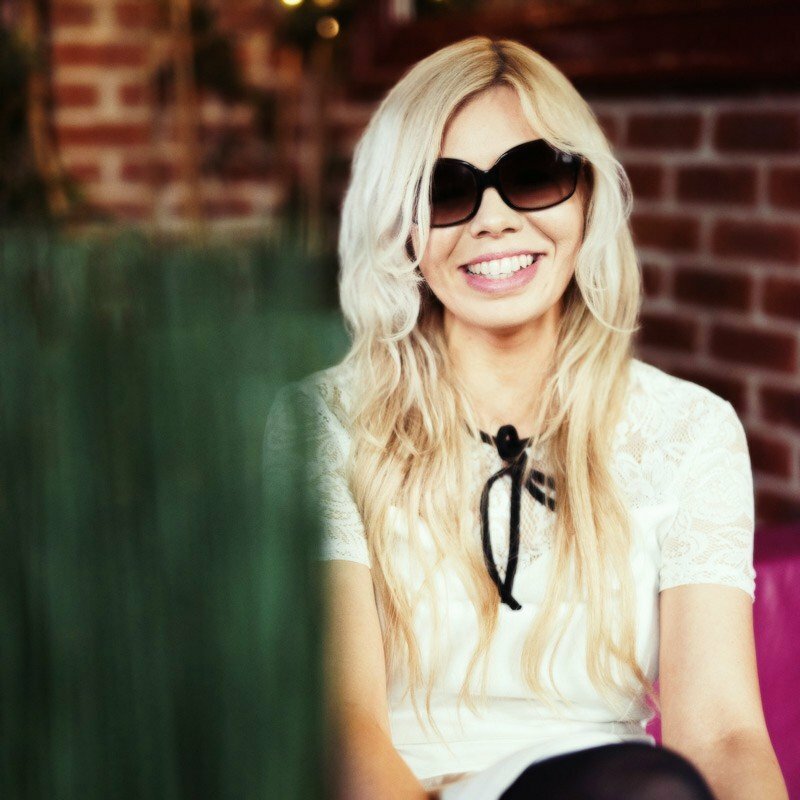 Asked to speak at Traverse Blogger’s Event 2014. Listed as Trip Advisor’s Holiday Lettings Top 20 Urban Travel Bloggers 2014. Asked to judge a successful and high profile LowCostHolidays travel blogging competition. Featured in the British Airways HighLife magazine in their Ultimate year-round travel guide. Published in the Exodus 40th Anniversary Magazine. Published in the Epoch Times. Asked to write hotel reviews for the Laterooms.com successful 52 Sleeps book which was also published into printed books by Lonely Planet and distributed to all their readers. Asked to judge a high-profile Instagram competition for Audley Travel. Featured in Zalando’s Travel section. Worked with prestigious production company Media Ark to develop a video campaign for a US Tourist Board. Asked to judge a popular Netflights travel photographic competition. Asked our opinion on Brexit for GoCompare.com magazine. Invited to interview BBC travel presenter and best selling author Simon Reeve. 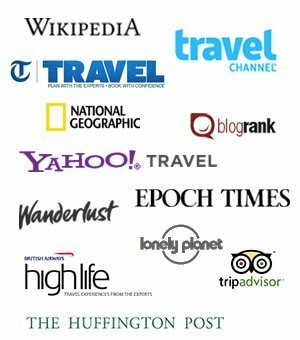 Listed as Gap Year Escape’s Top 30 Travel Blogs. Won Iglu travel awards 2011 for the best travel stories. Was asked to attend a TV interview by the BBC news, put forward for a casting for a Bing TV advert, National Geographic (best of the blogosphere feature), The Daily Mail, National Geographic (best of the blogosphere feature), Expedia Koh Samui guide, The Travel Channel, Daily Mail Travel, Forbes, Yahoo Travel, Business Insider, Lonely Planet, The Huffington Post, featured in British Airways inflight Highlife Magazine, Telegraph Travel, TripAdvisor, Epoch Times, Lifehack, Gadling, RightMove Overseas, Glamour Magazine, featured in Jet2’s inflight magazine ‘Jetaway’, RyanAir Blog, La Stampa (Italy’s most popular daily newspaper), Ekstrabladet.dk (National Danish Newspaper), Standaard.be, Nieuwsblad.be (Belgium’s national newspaper sites) Vecernji.hr (Croatia’s leading news site), Visir.is (Iceland’s most popular news and entertainment website), Wort.lu (Luxembourg’s largest newspaper) and had articles referenced by Wikipedia. Google, Pinterest, Vauxhall, Lonely Planet, Expedia, The Home Office, British Airways, Royal Brunei, Destination Canada, Queensland Tourist Board, Ferrari, MoneySuperMarket, Three Mobile, Singapore Air, KLM, Expedia, St Vincent and the Grenadines Tourist Board, Travel Supermarket, London City Airport, Germany Tourist Board, Discover Hong Kong, SkyScanner, LateRooms.com, Travel Alberta, Tourism Montreal, Your Singapore, NCVO, Metropolitan Touring, Spain Tourist Board, South America, Sabah Tourist Board, Visit Austria, Rickshaw Travel, AirBnB, Swiss Air, Jeep Compass, Hotel.info, Spanish Tourist Board, Germany Tourist Board, Switzerland Tourist Board, Catalonia Tourist Board, Visit Sweden, Visit Jersey, Exodus Activity and Adventure Holidays, Swedish Lapland Tourist Board, The Gambia Experience, Israel Tourist Board, Sultanate of Oman, Nikon, Leica, Zalando, LowCostHolidays, Discover Ireland, Atout France, Discover Greece, Vibe Israel, Railbookers, Media Ark, Latvia Tourist Board, Live Riga, Visit Zurich, Premier Cottages, Autographer, Jet2 holidays, Barcelo hotels, Visit Oostende, Faville Tours, FPP Travel, Turismo Torino, Eating Italy, Brancott Estate, Eviivo, MyFerryLink, Eurail, Walks of Italy and Eating London. Please contact Becky for more detailed information and campaign examples.